Show off your favorite beach sandals or flip flops in style with our nautical toe rings. 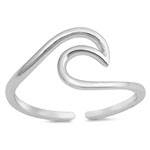 At Gone Coastal Jewelry, we provide a large selection of toe rings that truly embody coastal life. 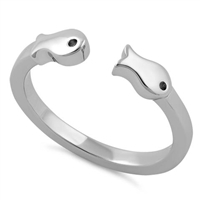 Our toe rings are made from only the highest quality materials, including gold, silver and natural stones, and feature wonderful sea life and fishing designs. Discover unique styles, such as flags, sunglasses, waves, flowers, skulls, sandals, and much more. 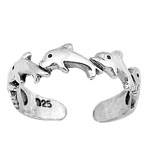 Also be sure to check out our other great styles of nautical and fishing jewelry. We offer all types of nautical jewelry, from bracelets and necklaces to anklets and rings. Have questions about our products or a recent order? Call or email us here!